In the early 1970's, Americans began to receive a wider variety of martial arts from which to practice. Among this vast array of choices was an innovative and dynamic style that would forever transform the perception of the martial arts: Hwa Rang Do (way of the flowering manhood). Korea holds the roots of Hwa Rang Do, an 1800 year old martial skills call UmYangKwon (combat skills of Silla Hwarang wariors) present time Martial art / Healing art Hwa Rang Do® name founded 1960 by Dr. Joo Bang Lee. Within this esoteric art, which combines many facets of physical and mental development, resides perhaps the beginnings of today's warfare tactics and hand-to-hand combat techniques. Hwa Rang Do is a highly balanced martial style incorporating physical techniques with philosophy , academics and healing arts. It is divided into four categories: wae gong (external power); nae gong (internal power); shin gong (mental power); and moo gi gong (weapon power). To demonstrate this idea of balance, Hwa Rang Do has two different, yet necessary, divisions of physical applications: Jeong do and Am ja. 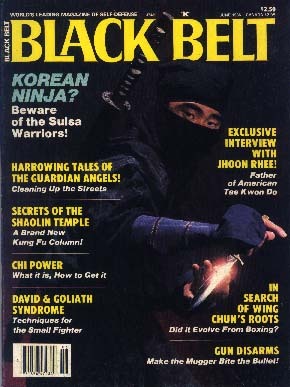 Jeong do is the "way of the true sword." It means fighting in battle with honor and dignity, dueling to the death, never retreating in the face of the enemy, and dying if one must. In ancient times, the code of chivalry was up held at all cost, and the gentleman's code was practiced sincerely. Jung do techniques require the ability to face the enemy in a fair match to demonstrate superiority of power. It involves the study of the way of the true sword, where one must call out the inner spirit. This is attained by eliminating all thoughts and emotions. One is like the wind, which moves from here to there, and in the movement there lies strength, with no inhibiting element to stop the current of air. Am ja is the "way of darkness." In this division, trickery, deception and cunning are the key elements of success. One must use whatever method, tool, or strategy is necessary to gain an advantage and defeat the enemy. In am ja, the only honor lies in the ultimate outcome. Like the Machiavellian principles, the end justifies the means. In this school, one learns techniques in manipulating the enemy psychologically, physically and emotionally to confuse him, then move in for the final blow. In ancient Korea, the way of darkness was necessary for maintaining national security. With the neighboring Korean kingdoms constantly at war with one another, espionage and counter-espionage were inevitable. Consequently, there emerged a group of warrior elite known as the sulsa (knights of the night). They practice the am ja methods of warfare and infiltrated enemy kingdoms to gather information. The sulsa were selected from the best Hwarang warriors. They were Hwa Rang Do's special forces, majoring in infiltration, exfiltration, intelligence gathering, assassination and survival. They used wahtever means necessary to carry out there plan. 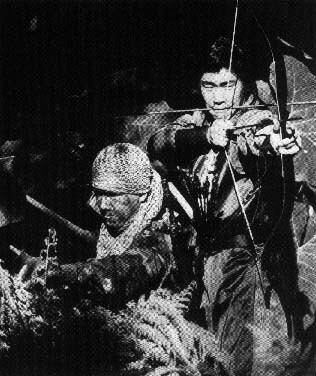 Unlike the ancient Japanese ninja, however, the most important asset of the sulsa was there ideal of hwal bop, which encouraged the warrior to save lives, rather than take them. If one one were able to kill, one should be able to heal. The sulsa played a significant role in the unification of the Korean peninsula. Legend has it that the king of Silla province had a dream of producing the greatest fighting machine in history. Consequently, hwarang do warriors were trained in all aspects of warfare, strategy, and combat. The very best warriors were subsequently selected and trained as sulsa. The chosen few possessed the characteristics of patience, loyalty, trust, courage, intelligence and cleverness. Thanks to the sulsa's selfless devotion to the kingdom, Silla's neighboring provinces of Koguryo and Paekche were ultimately conquered, unifying Korea into one nation. Unfortunately, the unification also marked the decline of the sulsa. With Silla's enemys in check, there was little use for the kinghts of the night. During their hayday, the sulsa were experts in un shin bop, a subdivision of hwarang do which involves the art of concealing oneself in front of others. It employs a combination of distraction, suggestion, stealth, and camouflage. To be invisible, one must untilize what is visible. By controlling the elements which can be seen, one can appear invisible. We assume things are real by making associations with past experiences. We set expectations and anticipate the results before analyzing all the facts. When one can determine the boundary between reality and illusion, he no longer exists in the real world, but only in his illusions. Yet another aspect of Hwa Rang Do is its subdivision of am ja into three catagories: jham-bok-sul, jham-ip-sul, and bo-bop. Jham-bok-sul is the study of camouflage for hiding for long periods of time. It focuses on techniques of hiding by adapting and emerging the body and spirit into the environment. To hide as a rock, one learns to be a rock, study its characteristics, take on its spirit, and become totally engulfed in the reality of being a rock. 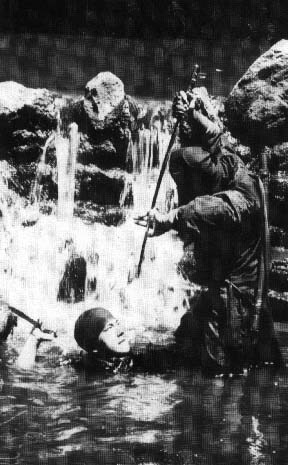 One must not only be able to hide on land, but also in water, under ground, in trees, and in all different types of terrain. By knowing every situation and every environment, one achieves that balanced state where differences no longer exist and all things merge into one. 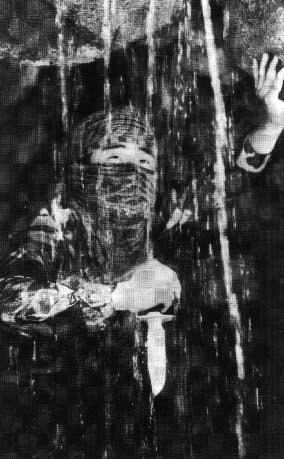 Jham-ip-sul is the study of infiltration and exfiltration techniques. In this subdivision, one has to analyze the enemy's personality, so he can live among the enemy. Techniques in traveling swiftly, climbing, acrobatics and stealth are also taught. Emphisis is placed on sneaking behind enemy lines to collect information and relay it back to the generals. Camouflage is also an important part of jham-ip-sul. Many aspects of shin gong (mental power) are taught: bok shin sul (the power to read minds); in sul (the development of patience); choe myun sul (the technique of putting a person to sleep); and sa sang bop (study of human types). Bo-bop is the study of stalking, stealth and fast movement. There are many ways to walk, depending on the type of surface. The art of stealth is taught for sentry stalking and removal. Utilization of dan jun ho heup bop (the study of breathing techniques with active ki power) assists in body relaxation. There are incredible stories of sulsa warriors flying through the air like sparrows, from tree to tree, and rooftop to rooftop. These training tactics and the application of over 4000 hand-to-hand combat techniques made the sulsa an awesome fighting machine. Another aspect of the sulsa's prowess was its weapons expertise. There are over 100 different weapons in the study of Hwa Rang Do, which helped make the sulsa an enemy feared by all. The spirit of the Hwarang warrior links sulsa of every generation. One of the most famous hwarang warriors of the 20th century was Mike Echanis, who, through his master Dr. Joo Bang Lee, brought the ancient ideals of combat into the American military system. Echanis, who was killed in Nicaragua in 1978, left his mark in the training programs he instituted for the elite forces of the American military. 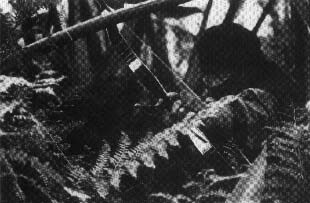 Reportedly the first American trained in Hwa Rang Do, Echanis took the techniques practiced by the art's early warriors and applied them to modern-day unconventional warfare. The advancement of battlefield technology has decreased the need for hand-to-hand and special weapons experts, but there still situations were the stratigies and techniques of the sulsa would be most effective. As long as there are nations with opposing views, there will be battles and wars waged where the foot soldier is utilized. The method of warfare may have changed over the past 1,800 years, but mans desire to live remains the same. Putting aside all the strategy, weapons, and military jargon, we are all human-even the invincible sulsa. The Hwarang spirit has not endured 18 centuries becasue its techniques are superior, but because people who cherish the art understand the value of man, nature and the universe.